I don’t work with those tiny chips you find at the paint store. I work with large painted samples on boards. There is now a big difference in this young man’s bedroom. Above, the new paint color, Sandy Brown. A rich caramel beige. and gorgeous against the existing caramel color draperies. Before, the color was Linen White. based on the undertones in the existing soft furnishings, to the clear winner. This entry was posted on January 30, 2013 by Ellen at Color Calling. 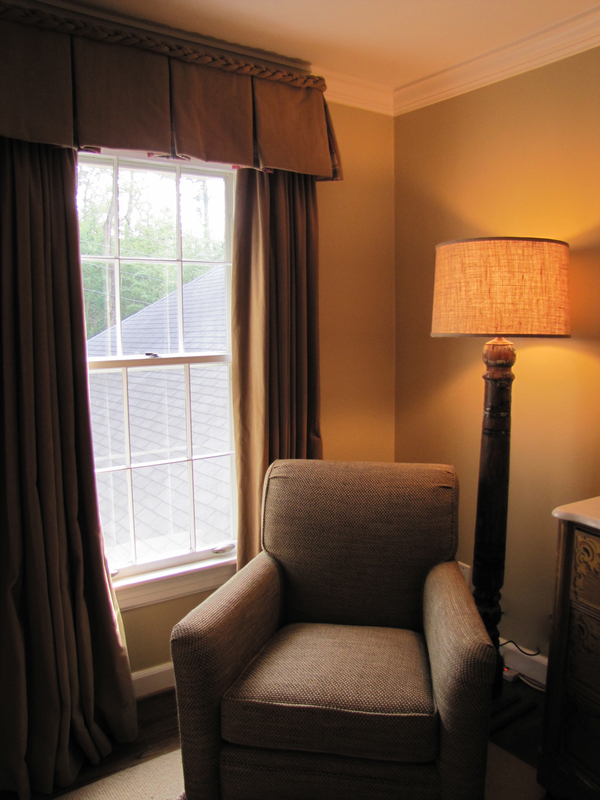 It was filed under Benjamin Moore colors, Residential styling and was tagged with Linen White, Sandy Brown.